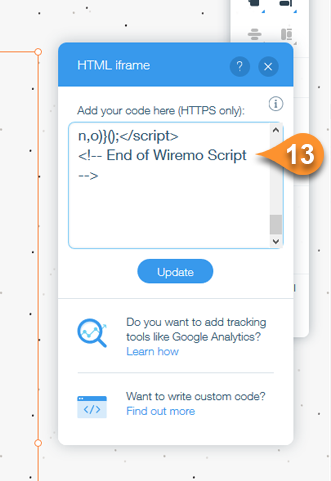 Welcome to Wiremo! 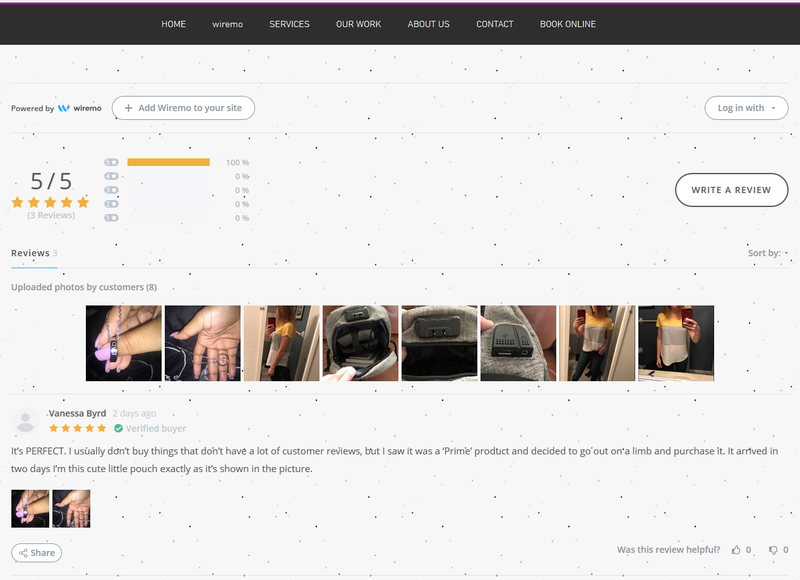 In this step-by-step tutorial, you will find out how to set up one of the best customer reviews widgets on Wix. 1. 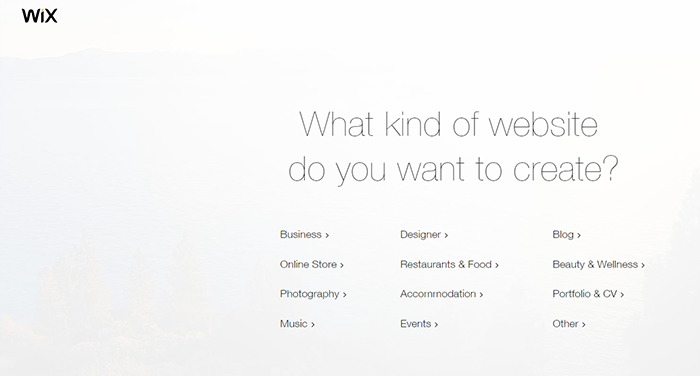 Log in to your Wix account and select what kind of website you want to create in case you don’t already have one. 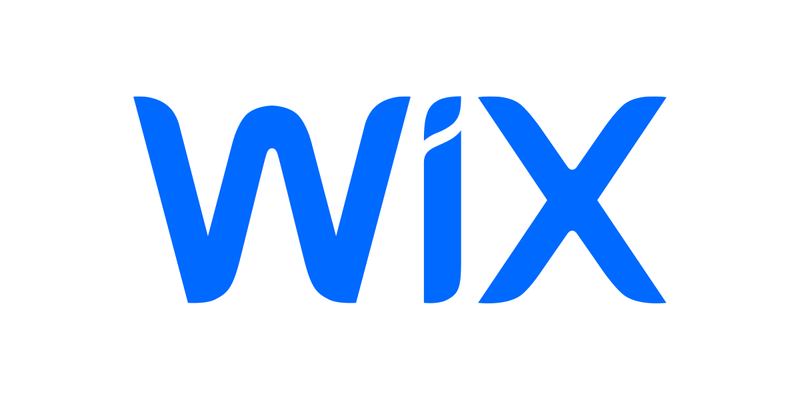 Choose Wix editor instead of Wix ADI. 3. 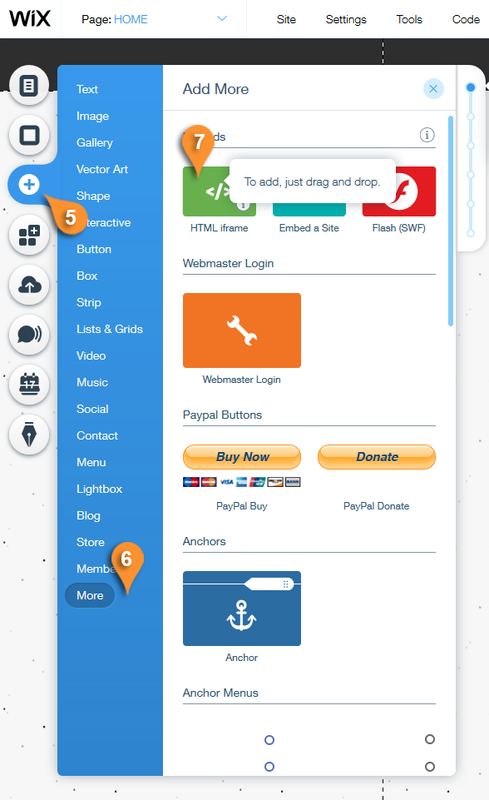 Click on navigation menu box and click manage menu (pin 2). Then you can “Add page” (pin 3). Once you’ve created it click on it’s name (pin 4) so you can make all necessary changes there. 5. 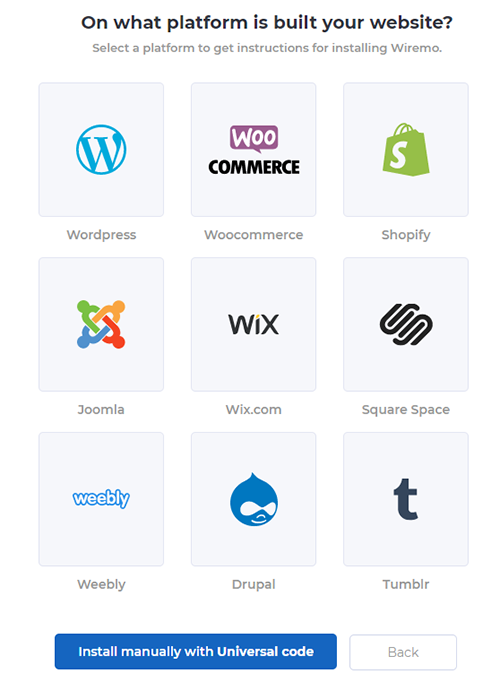 Make the box of the size you need to and click on “Edit code” (pin 8). 6. 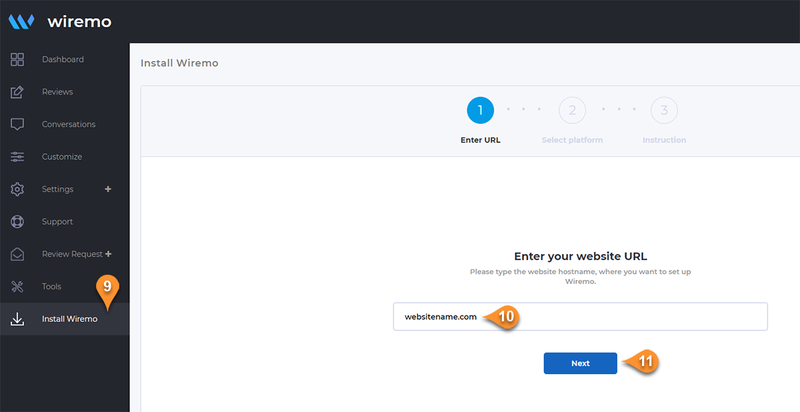 Now you need to login to Wiremo Dashboard and select “Install Wiremo” (pin 9) in the main menu. Type your website address (pin 10) and click Next (pin 11). 9. Add the script at the top of the page while you are in html editor (pin 13). 11. 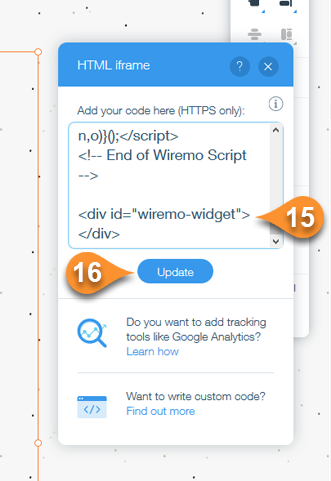 Place the div code where you want Wiremo widget to display (pin 15) then press on "Update" button (pin 16).